“It started with a simple battery,” wrote Julie Creswell for the New York Times. Around 2009, Amazon quietly entered the private label business by offering a handful of items under a new brand called AmazonBasics. In just a few years, AmazonBasics had grabbed nearly a third of the online market for batteries, outselling both Energizer and Duracell on its site. 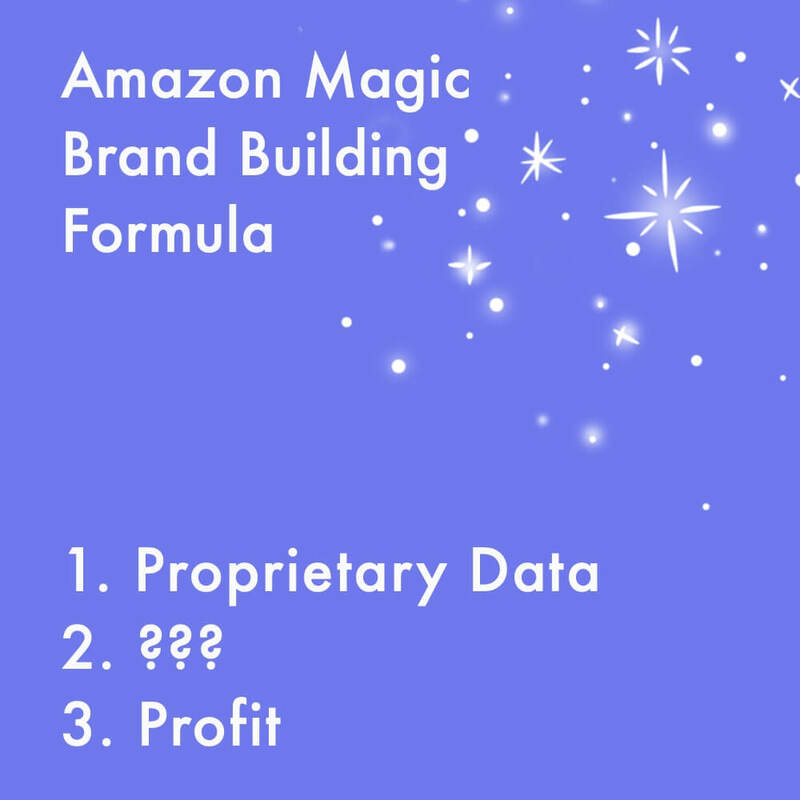 Number of Amazon brands analyzed. Number of products across all Amazon brands. Number of customer reviews analyzed from all Amazon brands. The popular narrative has been that by utilizing internal data, Amazon can launch its brands in many categories and capture most of the category’s sales. So far there is no evidence of this working. 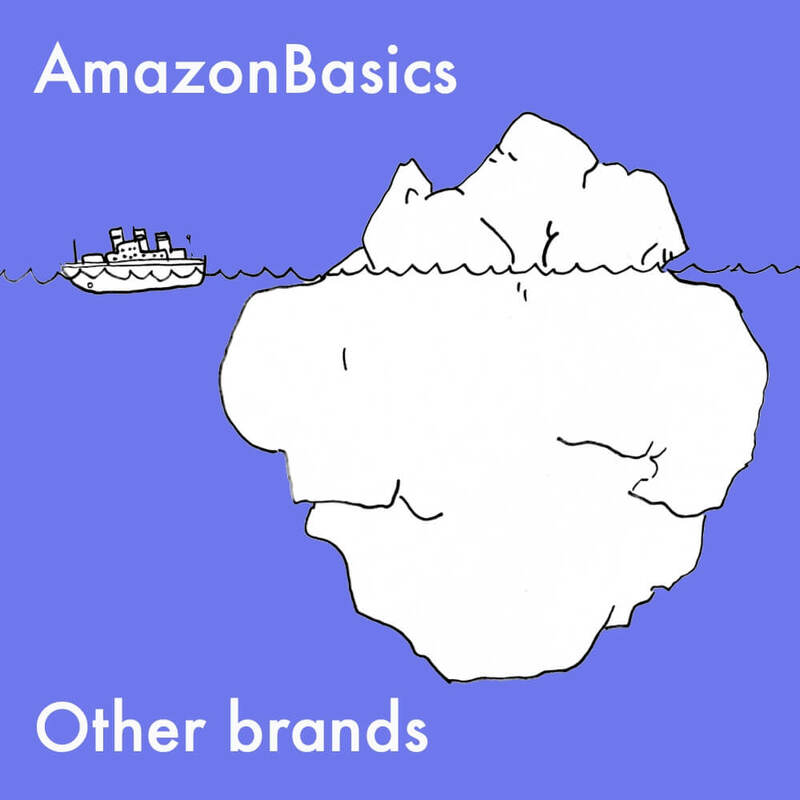 Amazon has been successful selling basics under AmazonBasics and Amazon Essentials, but none of those products are obviously data-driven and instead appear to mimic the basics strategy other retailers use for their private label brands. The number of unsuccessful products and brands shows that the company doesn’t have it figured out. Amazon’s products business generated $7.5 billion in 2018 and will reach $25 billion by 2022, according to estimates from investment firm SunTrust Robinson Humphrey. However, these estimates include sales from Echo devices and Amazon-owned Whole Foods grocery brands. Without those, total sales by all private label brands are under $1 billion. Last year the company generated $122.9 billion from online retail sales, $42.7 billion from the third-party marketplace services, $25.6 billion from AWS cloud hosting, and $10.1 billion from the advertising service. For a total of $232.8 billion, up from $177.8 billion in 2017. We believe private label brands will not be a business to add tens of billions of incremental revenue. Thus we conclude that Amazon’s private label efforts have been given too much credit, both in their ability to disrupt categories and the capability to utilize internal data. Outside the outliers like AmazonBasics batteries, most brands launched didn’t do well, despite the unfair access Amazon has to its platform. Given the increased questions on anti-trust, inventory risk, and upsetting partner brands selling on Amazon, we don’t see private label brands as a significant business in the future for the company. Instead, it will be filling in underserved niches and provide avenues for experimentation although exclusive brands will continue to grow. Together they account for 81% of all customer reviews and thus are assumed to contribute as much as 81% of the total sales by all Amazon private label brands. AmazonBasics alone is responsible for 57% of the total volume. The top three brands - AmazonBasics, Amazon Collection, and Amazon Essentials - contributed 70% of the total. Together with Amazon Elements, brands with “Amazon” in the name are bringing more than 72% of the total. All brands with “Amazon” in the name are performing well, while other brands, with unrecognizable and disposable names like 28 Palms, Common District, Leather Architect, or Obsidian, are not performing as well. The underlying idea behind these brand names and that most of them don’t mention the affiliation with Amazon is that customers shopping on the platform would ignore the brand name either way. Customers buy these products when they surface in search results with high ratings; customers are not meant to recognize their brand name. Private label brands in brick-and-mortar stores, for example by Target, have an advantage over online-only brands. 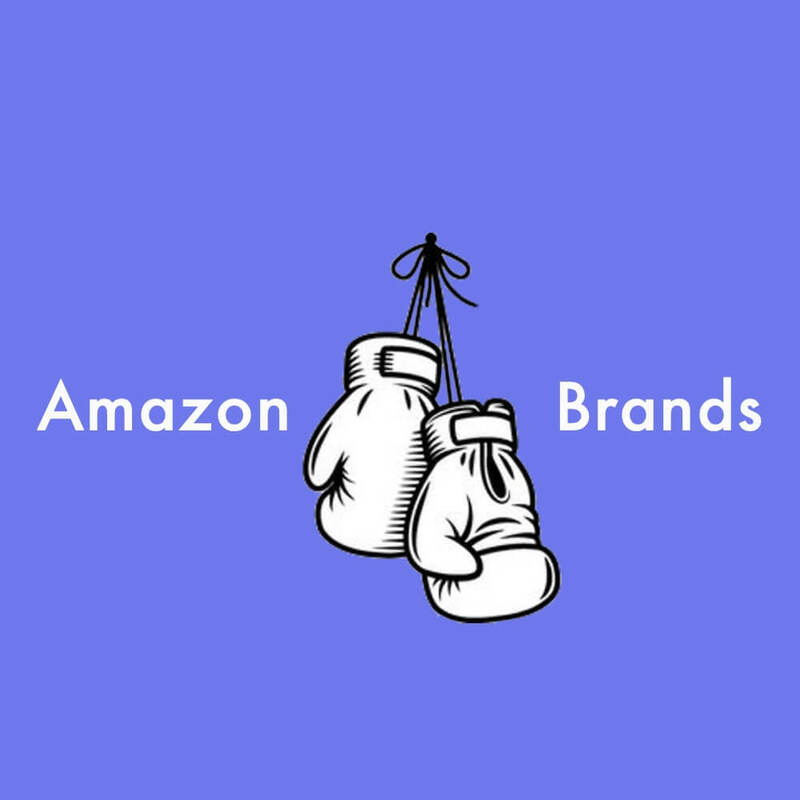 Brands on Amazon get lost in the chaos of over 500 million products, and the brands launched by Amazon, but without Amazon in the name do not have advantages compared to other private label brands. Amazon customer’s behavior is shifted from a brand-driven world observed elsewhere to a needs-based decision process. Since search is the primary driver of purchases, Amazon and its competition on Amazon are optimizing for search discovery. The best example of which is AmazonBasics, the - unsurprisingly - most successful Amazon private label brand precisely because of this. AmazonBasics covers and offers an affordable product for a wide range of generic search terms. 5.4% of the top 1,000 search terms on Amazon result in a customer clicking on an AmazonBasics product as one of their first three choices. 3.6% of the top 10,000 search terms, 2.5% of the top 100,000 search terms, and only 1.7% of the top 500,000 search terms - 8,392 different search terms - result in a customer clicking on an AmazonBasics product. Amazon’s other private label brands are not as prevalent in the search. Amazon Essentials gets clicked for 0.3% of the top 100,000 search terms, and Solimo gets clicked for 0.1% of the top search terms. Mama Bear, Solimo, and Pinzon get clicked 22, 10, and 5 of the top 100,000 search terms respectively. Most of the top search terms do get dominated by private label brands, but often they are not owned by Amazon. For example, for the top 10 most searched terms only Amazon Basics appears. The rest are known brands like Apple or Levono, or one of the unknown private label brands. The top 3 most searched terms “wireless earbuds”, “bluetooth headphones”, and “headphones” send their clicks to brands most consumers wouldn’t recognize. In the table above brands marked in yellow are private label brands by Amazon, brands marked in red are known brands, and brands marked in blue are other private label brands. The prices at which Amazon sells its products are low. 49% of products of the top 10 brands are under $20, 38% are between $20 and $50, and only 12% are more than $50. Some brands focus exclusively on expensive items, for example, Nod by Tuft & Needle mattresses, Stone & Beam furniture, Rivet furniture, Comfort Zone pet supplies, Amazon Collection jewelry brand. Those are in line with the competition; the furniture brands are all above $100, but not competing at the premium of the category. Amazon Collection jewelry brand has 4,088 products at an average price of $221. Amazon positions different brands based on price. For example, through Amazon’s Pinzon brand, it offers a queen-size sheet set for $38.99. However, it also sells a queen-size sheet set through its AmazonBasics private label for $19.99. Similarly, Amazon sells men’s long-sleeve solid oxford shirts under both the Amazon Essentials and Goodthreads brands. Overall the best performing products are those at the lower end of the price spectrum, where the combination of low prices and high reviews offsets the lack of brand recognition. “Private-label brands win because of price. Look at a Target brand or a Walmart private-label brand. They’re great value for [the] money,” said Forrester analyst Sucharita Mulpuru-Kodali. The average product rating is 4.1 out of 5 stars. 30% of products of the top 10 brands are rated 4.5 or more, and 83% are rated 4.0 or more. 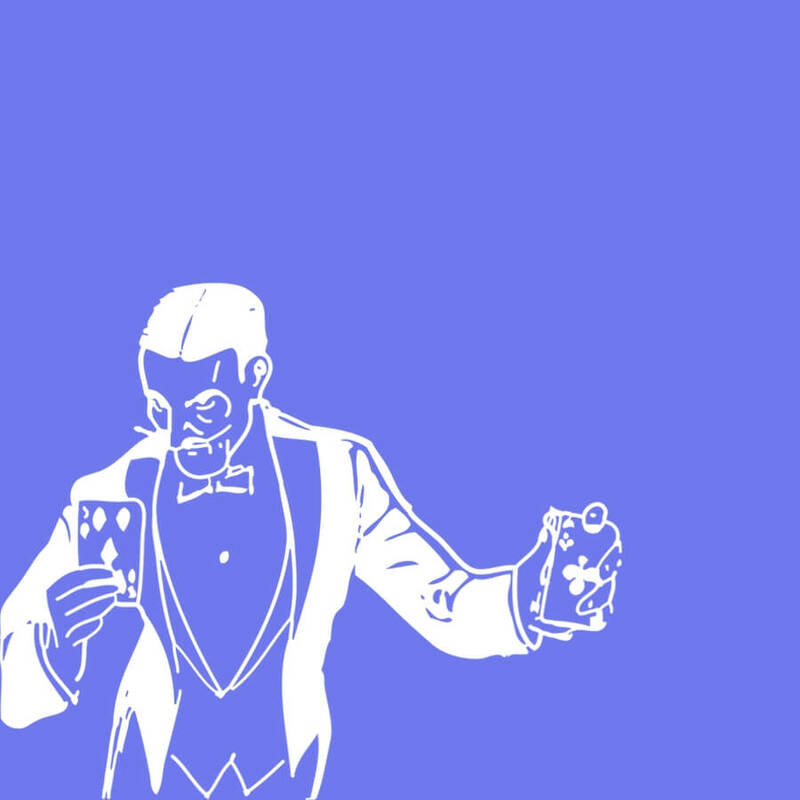 Product reviews distribution reminds of the bell curve. However, it is not symmetrical. Instead, the shape is skewed to the left, making the 4.1 average not be the highest point. Some of the best selling products like the AmazonBasics batteries and various cables have a rating below the average. For example, AmazonBasics Lightning to USB A Cable has more than 27,000 reviews and a 3.7 out of 5 stars rating. Most negative reviews mention melting cables and low quality. Last year the company recalled AmazonBasics power banks due to fire and chemical burn hazards. Many of its clothing brands fall below 4 out of 5 stars rating too. For example, Amazon’s lingerie line, Mae, which launched in 2017, and women’s clothing Lark & Ro, which debuted in 2016, is rated 3.9 out of 5. In September Amazon opened “4-star” store in New York City, where everything for sale is rated four stars or better. Many of its products wouldn’t meet the requirement. Only three of Amazon’s private label brands offer more than a thousand products. These brands include Amazon Collection, AmazonBasics, and 365 Everyday Value brands. However, the majority of Amazon’s private label brands offer fewer than 100 products: 89% of brands have less than 100 products - 25% of brands have under 10 products and 64% from 10 to 100. Many brands, for example in Clothing, target a specific type of customer or serves a demand for a particular product type. As a result, many of them are small in size. On the other end of the spectrum, generic brands like AmazonBasics try to include thousands of products to build customer trust with one umbrella brand. Amazon’s private labels span numerous categories, but clothing accounts for the lion’s share. More than half of the brands analyzed, close to 10,000 products, are in Clothing. Amazon’s top clothing brands Amazon Essentials, Simple Joys by Carter’s, and Goodthreads, Daily Ritual, and Lark & Ro outsell the rest. Amazon Collection in Jewelry adds additional 4,000 products, making Clothing, Shoes & Jewelry the largest department by far. More than 70% of the clothing products are in the women’s category. Women’s fashion makes up most of Amazon’s clothing brands, but many are rarely bought. According to Morgan Stanley, Amazon became the top player of the U.S. apparel industry in 2018. That might explain Amazon’s focus on expanding clothing brands. Home & Kitchen hosts brands like Presto!, AmazonBasics, and Solimo; Grocery & Gourmet Food has 365 Everyday Value, Corner One Coffee, Whole Foods Market, and AmazonFresh; Tools & Home Improvement has SupplyMaster, Stone & Beam, and Rivet brands. Many brands in these categories also include products in multiple categories, however. Electronics is a particular department because Amazon makes most of its best sellers. Between AmazonBasics, Echo devices, Fire TV devices, Fire tablets, and Ring devices, Amazon owns 30-40% of the top 100 products. During Prime Day 2018 that number reached close to 60%. Health & Household 8.0% 110 AmazonBasics, Presto! AmazonBasics private label brand is getting better at both successfully launching products and expanding to more categories. It is the most successful brand Amazon has created and is the brand most are familiar with, even if there are hundreds of more brands with tens of thousands of products also launched by the company. AmazonBasics has products in Health & Household, Electronics, Home & Kitchen, Sports & Outdoors, Arts, Crafts & Sewing, Automotive, Cell Phones & Accessories, Baby, Clothing, Shoes & Jewelry, Industrial & Scientific, Musical Instruments, Office Products, Patio, Lawn & Garden, Pet Supplies, Tools & Home Improvement, and Video Games departments. The brand covers practically all of Amazon’s categories. Batteries, razors, cables, bedding, and many other products exist in categories where price drives many purchasing decisions. The high end of these categories is often an exception: Casper mattresses, Away luggage, Harry’s shaving products, Glossier makeup. Those direct to consumer brands are taking a commodity and creating a brand and a community around it, affording them to charge a premium. AmazonBasics finds success in categories where fragmentation and downward price pressure has created an opening for it. The eclectic mix of products is evident when looking at the top 10 products. Various cables in Electronics, curtain rods in Home Décor, sheet sets in Bedding, and supplies in Office Products are examples of categories where AmazonBasics has both the top spot and the majority of the department. In the cables category, half of the top 100 selling products are by AmazonBasics. 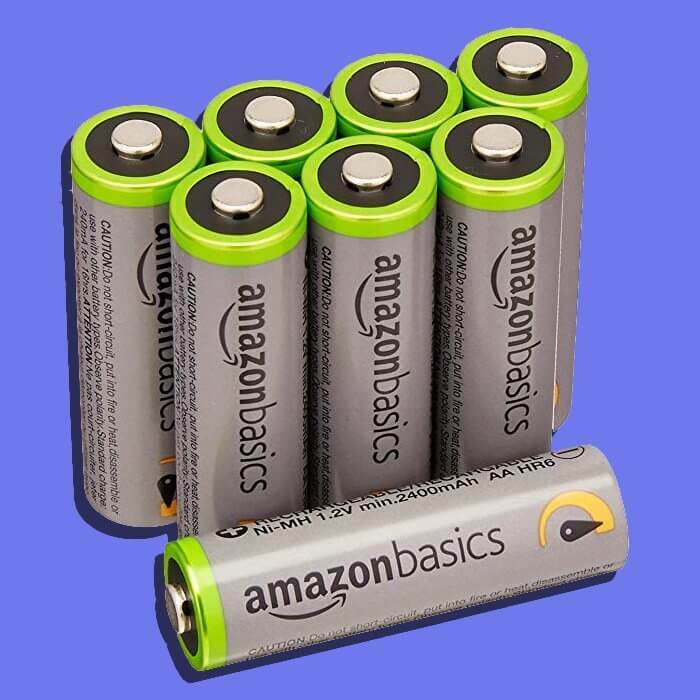 In batteries, AmazonBasics sells 24 of the top 100 best selling products. However, Energizer sells 46 and Duracell sells 3 of the top 100. AmazonBasics commands the three top-selling products as its line includes most popular sizes (AA, AA, D Cell, C Cell, and 9 Volt), but Energizer captures the long tail of various other less popular formats. Historically Duracell used to do better, but Energizer and other smaller brands replaced them. The chart below showcases how AmazonBasics brand rank remained stable, while Energizer brand rank improved. Energized capitalized on less popular products. Brand’s top performing products are taken into account when calculating its brand rank. In October 2018 Amazon began selling a $130 AmazonBasics memory foam mattress. Prices range from $129.99 for the 8-inch twin to $349.99 for the 12-inch king size, right in line with some of the least expensive foam mattresses currently available. There is one main reason why Amazon got into the bed-in-a-box business: “mattress” is the 42nd most searched term on Amazon.com. It’s a more popular term than “iphone charger”, “paper towels”, or even “baby wipes.” Terms like “twin mattress”, “queen mattress”, “memory foam mattress”, and “full-size mattress” are in the top 1,000 search terms too. Shoppers are not looking for a particular brand, maybe because few mattress brands outside of Casper built customer equity. Search volume (and thus demand) is big, but no particular brand owns it. In 2017 Amazon started selling a $49.99 AmazonBasics 20-inch luggage and an $89.99 AmazonBasics 28-inch luggage. Equivalent 28-inch luggage from Away or Raden brands costs $295, a 230% price premium. The company launched it because “luggage” is the 145th most searched term and “carry on luggage” is 439th. Customers also search for “away luggage” on Amazon, but since Away luggage is not available on the platform customers often purchase one of the AmazonBasics pieces. Not unlike the memory foam mattress, luggage pieces are offering a more affordable alternative to high-visible direct to consumer brands. “Using technology and a billion people who will write reviews and then putting in algorithms, we [Amazon] can destroy that price premium that brands have commanded,” said Scott Galloway, Clinical Professor of Marketing at New York University, Stern School of Business. The products launched under the AmazonBasics umbrella are testing this theory - should every category be branded. “Right now you can buy a 6-foot-long HDMI cable for $3.50. Or $19.99. Or $99.99. Or $699.99. Salespeople, retailers, and especially cable manufacturers want you to believe that you’ll get better picture and sound quality with a more expensive HDMI cable. They’re lying,” wrote Geoffrey Morrison, CNET. AmazonBasics 6 feet HDMI cable sells for $6.99 and is the number one best-seller HDMI cable on Amazon. Because on Amazon there are no salespeople to create the perception of value for the more expensive cables. 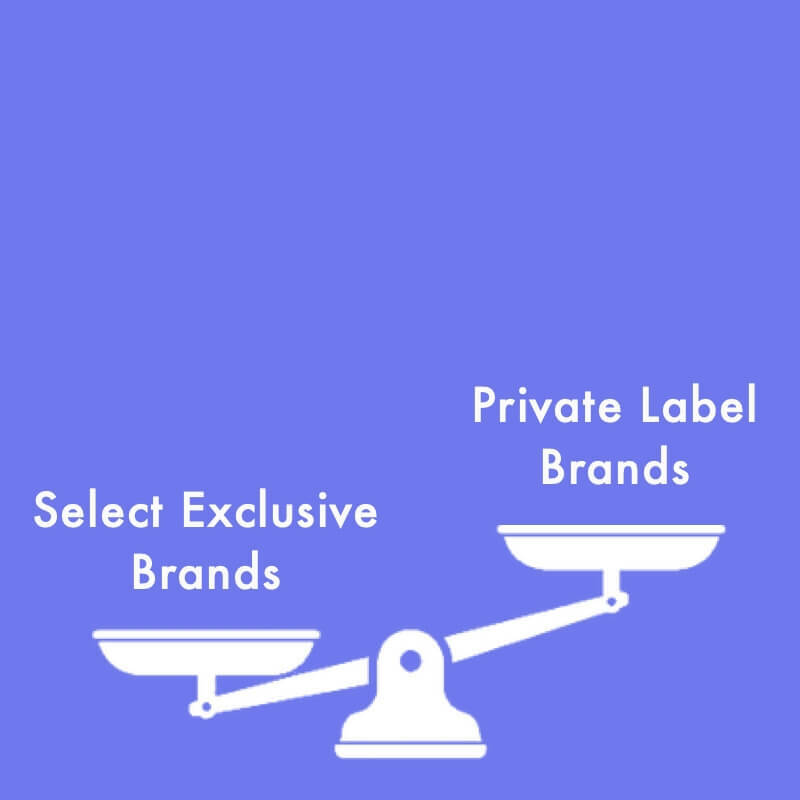 Private label products, by definition, are products that a retailer sells alongside other named brands, often manufactured by the same or similar manufacturer that a named brand uses, at a lower price since the retailer already has distribution to sell it through. The named brand is the middleman getting cut out. Amazon by being the largest online retailer in the US can expose products to tens of millions of customers on day one, reach scale quickly, and thus offer its customers lower prices. However, AmazonBasics did not disrupt the mattress category. There were already successful affordable mattresses from brands like Zinus, Signature Sleep, Linenspa and Night Therapy, and they continue to dominate. The Amazon mattress is starting to gain popularity lately, but it won’t unseat category leaders for a while - they have similar price points and thousands of positive reviews. In this case, Amazon’s product is not cheaper or better than the competition across all price ranges. 85% of days in the last twelve months a yoga mat by BalanceFrom brand was the number one best-seller in Yoga Mats category. The yoga mat has more than 10,500 reviews and a 4.4 out of 5 stars rating. It usually retails for $17.95 but is often available at $12.99 for the most popular colors. An identical looking yoga mat by AmazonBasics has 1,500 reviews and a 4.2 rating at $17.66. Visually both yoga mats are similar; however, AmazonBasics one was the best-seller only 13% of the year. Just like the memory foam mattress, Amazon’s product is not cheaper or better than the competition. In 2016 a story titled “Got a Hot Seller on Amazon? Prepare for E-Tailer to Make One Too” in Bloomberg described an aluminum laptop stand by Rain Design which was a best-seller in its category. Before AmazonBasics - one of Amazon’s brands - launched a similar looking product at half the price. Since then, sales of the Rain Design original have slipped. “Rain Design has been selling an aluminum laptop stand on Amazon.com Inc. for more than a decade. A best-seller in its category, the $43 product has a 5-star rating and 2,460 customer reviews. Today Rain Design’s laptop stand sells for $39.99 and seems to be outselling Amazon’s $19.99 copy. However, Amazon has since launched a different design which sells more than them both, still at $19.99. Rain Design one is still the only one with a 5-star rating, now with more than 3,400 reviews. The story of Rain Design’s laptop stand is scary but doesn’t happen often. That’s not to say that if Amazon wanted they couldn’t - they do have all the data and tools available to them. Nonetheless, outside of hand-picked examples, this is rare. There is no basis to assume that copying products is part of the Amazon strategy. Williams Sonoma sued Amazon last year, “‘Rivet,’ an Amazon furniture and housewares product line, sells knockoffs of WSI’s [Williams-Sonoma, Inc’s] popular West Elm brand products,” the plaintiffs allege in the suit. Amazon’s Rivet brand includes products that are “strikingly similar” to West Elm brand, including a $300 orb chair, according to Williams-Sonoma’s complaint. Amazon has since stopped selling some of its Rivet furniture products. “Amazon gathers data on products sold on the website and builds out a private label strategy with that data,” is how most define Amazon’s private label strategy. It starts with an assumption - which is true - that Amazon has proprietary data about its customers and thus can identify underserved niches or pricing opportunities. The assumption then jumps to the conclusion that this has allowed starting the many private label brands it has launched. What happens in the middle, the journey from raw data to physical products, is left as a mystery. There is no empirical evidence that Amazon has been able to utilize proprietary data successfully to manufacture and launch products and brands. All of the best-selling AmazonBasics products, for example, are generic alternatives to competition in their category. The data to discover this is available to every brand selling on Amazon. In theory, Amazon should be able to utilize data. However, we find that its ability to do so is exaggerated by many. Using data for physical product creation is the perfect business model for many brands, and thus many would assume that a technology company like Amazon would be leading in this. However, despite having more data than any other retailer or brand, its ability to utilize that data for brand building is not evident. There is a real threat in Amazon acquiring customers, margin, distribution, sourcing, and other data on brands which are selling on its platform. Data is one of Amazon’s unfair advantages afforded to the company by them running the platform. However, given its 23,000 products under the “Our Brands” portfolio, many of which failed to resonate with customers, it fails to represent a data-driven process. Last year the European Union opened a preliminary investigation into whether Amazon has violated antitrust rules by using third-party data to launch its products. Traditional retailers like Walmart and Target were able to build private label brands for decades without most of the data Amazon has. All retailers know what they are selling, and use that to inform what labels they create. This sales information is visible to the public on Amazon, in the form of best-seller rank (BSR) for each product, a number which denotes its sales relative to the competition in the category. More detailed data is available to sellers and brands on the platform. 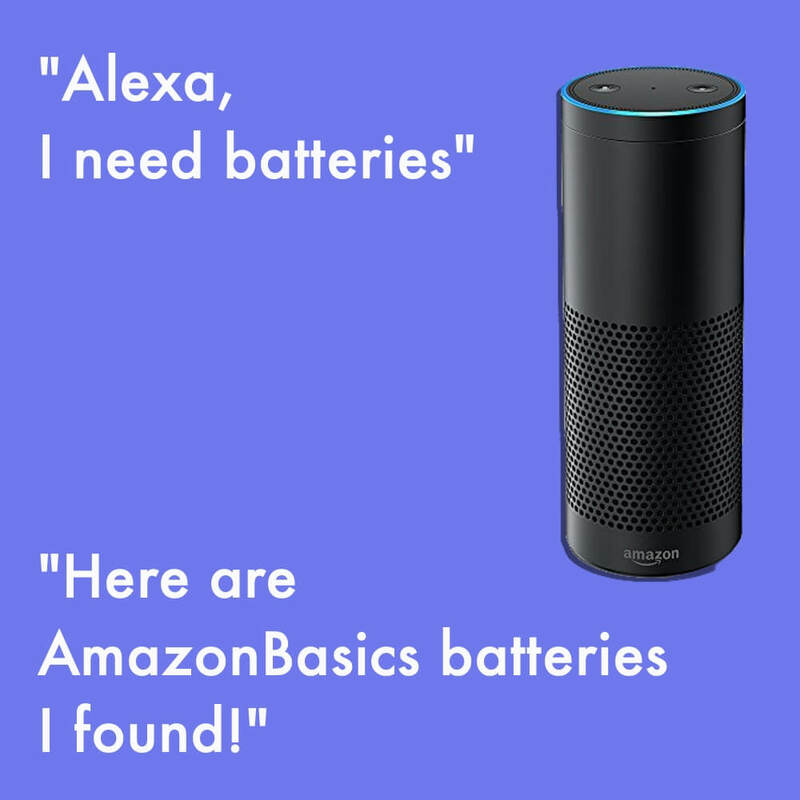 Anecdotal evidence points to consumers asking Amazon’s Alexa to “buy batteries” and only getting one option: AmazonBasics. It is one of the most commonly used examples of Amazon tilting the playing field to favor itself. However, if a customer asks it for Energizer batteries, Alexa will suggest Energizer batteries. If they don’t mention Energizer but have bought Energizer batteries before, it will recommend Energizer batteries again. In any other case, it’s the failure on the part of Energizer and Duracell. Amazon suggests AmazonBasics because it is what most customers end up buying on Amazon.com. Voice is ideal for purchasing something a shopper has bought before or if they know what they need. In any other case, Alexa needs to decide on behalf of the shopper. Nonetheless, Amazon has given its private label products a clear advantage in visibility in search results. They show up in search results in a separate box titled “Top Rated from Our Brands.” Combined with advertising it is not uncommon for Amazon brands to visually dominate search results. 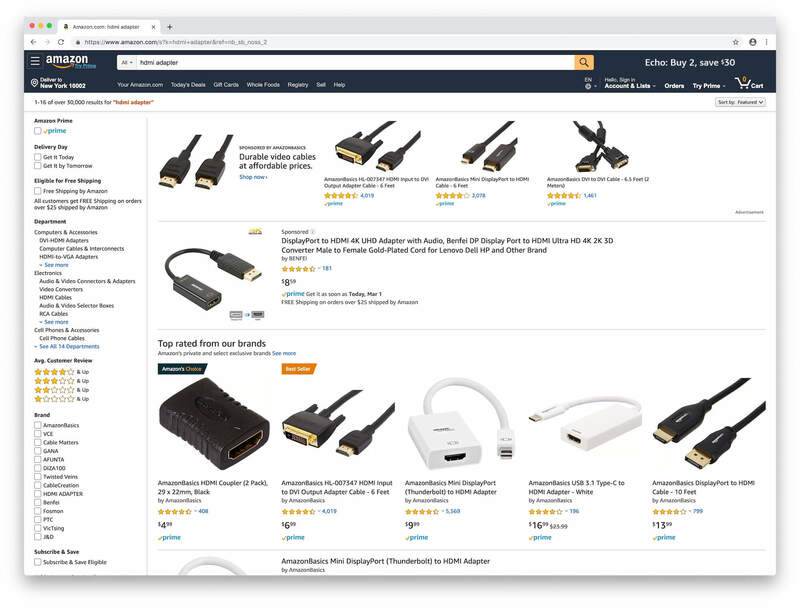 In the example below AmazonBasics HDMI adapters are taking up the whole screen except for the sponsored product ad by BENFEI brand. The “Top Rated from Our Brands” section uses a different layout than the rest of search results too, which attracts increased attention from a shopper. More recently Amazon has been testing even more aggressive tactics to sway shoppers to its brands. In the example below both on a desktop and on mobile, Energizer batteries presents a direct ask to shop AmazonBasics batteries instead. The company was testing this approach for both AmazonBasics products and other brands in its portfolio. It is clear that Amazon has the capabilities to redirect shoppers to its brands. This behavior is Amazon’s strongest advantage. Combined with the allocated investment for advertising in the form of sponsored products and headline ads this allows Amazon to make it hard for competing brands to surface. Although not impossible, especially if they have an advertising budget too. In terms of organic ranking in search results, Amazon’s private label brands rank objectively based on sales, reviews, and conversion ratio. Amazon’s search algorithm appears to be neutral and doesn’t favor Amazon’s brands. However, by showcasing its brands in placements like the “Top Rated from Our Brands” section, Amazon is aiming to increase sales which then make the products rank higher in search too. Customer reviews are not favoring Amazon’s brands better than competing brands either. Accumulating customer reviews has grown to be a significant area of focus for private label brand builders, years ago creating an industry for incentivized reviews (reviews received in exchange for a free product). Various tactics are still in existence, together with Amazon’s official Amazon Vine program. However, as discussed in a previous section Amazon’s products are often below the category in terms of average rating. Despite the company utilizing the Vine program to bootstrap new products. Overall, Amazon has an advantage over competing brands, but it doesn’t always result in category dominance. As discussed before, outside of outliers like AmazonBasics, even given the advantages many brands fail to resonate with customers. By the end of 2018 brands exclusively sold on Amazon started to outnumber Amazon’s private label brands. The “Our Brands” catalog has tilted towards exclusive brands instead of Amazon’s efforts. For example, recently launched Nod by Tuft & Needle and Simple Joys by Carter’s, are exclusive brands, not Amazon’s private label brands. By changing its strategy from creating its brands to having manufacturer do the work, Amazon can grow the “Our Brands” selection faster and without inventory risk. It can also be a win for the manufacturer as through joining Amazon’s family of brands they get help launching their products on Amazon.com and marketing support. “In exchange for creating exclusive products, the brands get help launching their products on Amazon.com, faster customer feedback when testing new products, marketing support, and, of course, revenue from the sales. They also can appear at the top of search results. Amazon currently has two accelerator programs which incubate brands and launch them exclusively on Amazon: Brand Accelerator Program and Manufacturer Accelerator Program. In Europe Amazon is also testing a program where Amazon owns the brand trademark, but other manufacturers are offered to make products under it. 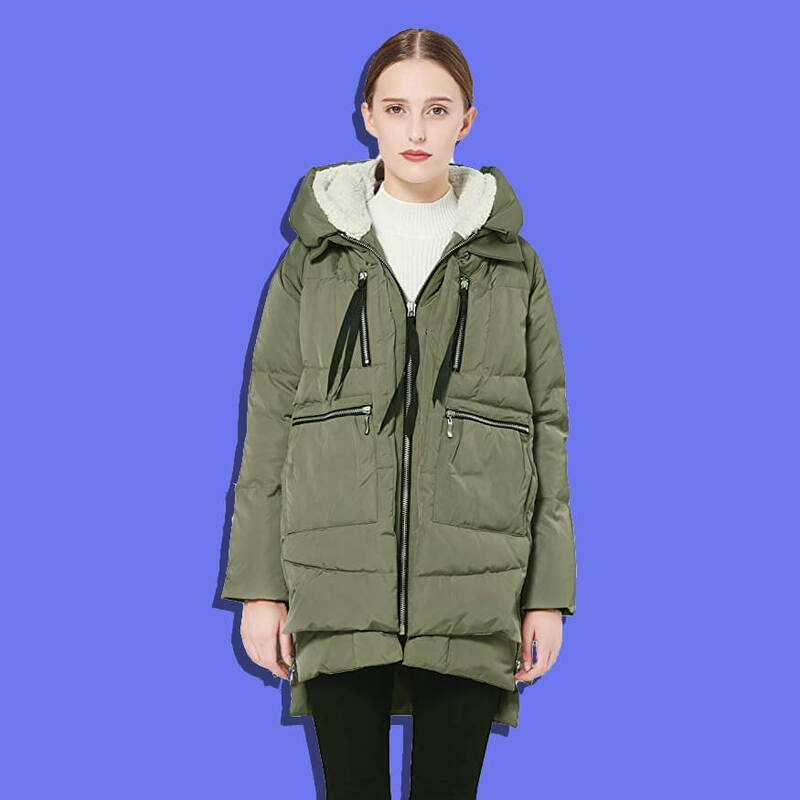 The #1 best selling product in Clothing on Amazon this winter was a winter coat. Unsurprising, it was winter after all. However, it’s not by Canada Goose, Patagonia or any other major clothing brand. Nor is it one of the private label brands Amazon has launched. Instead, it is by Orolay, a company no one has heard of from Zhejiang province in China. Known as the “Amazon coat,” Orolay Women’s Thickened Down Jacket sells for $129.99, comes with Prime, and has more than 6,600 reviews rating it 4.2 out of 5 stars. It reached number one best selling product out of 150 million in the Clothing department status for many weeks. In the women’s jackets & coats category it has been number one for over a year since last winter. It’s an Amazon-native brand out of China, joining the likes of Anker (electronics accessories), Ticwatch (smart watches), Yi (security cameras), and ECOVACS (robotic vacuums). The brand follows the “low price, high Amazon rating” strategy, a strategy which has allowed many categories to unseat established brands from the top sellers. It went viral last winter after being featured in the New York Post, New York Magazine, Refinery29, and other magazines, on social media, on YouTube, and word-to-mouth. Unlike most brands built on Amazon, it managed to attract attention beyond the platform. The Orolay brand even has an Instagram account @theamazoncoat. The formula is simple: affordable price, good-enough quality, an unmet niche in the category, and plenty of reviews. It’s the perfect example of an Amazon-native brand, a brand built to leverage the key strengths Amazon offers. The reason why people started calling it the “Amazon coat” is because for Amazon-native brands Amazon is becoming something like the umbrella brand. A comparable jacket by Canada Goose is north of $500, but none of Canada Goose products are available on Amazon. The Orolay winter jacket is the sort of success stories many expect from Amazon’s private label brands. However none of their clothing brands achieved virality - on or off Amazon.com. 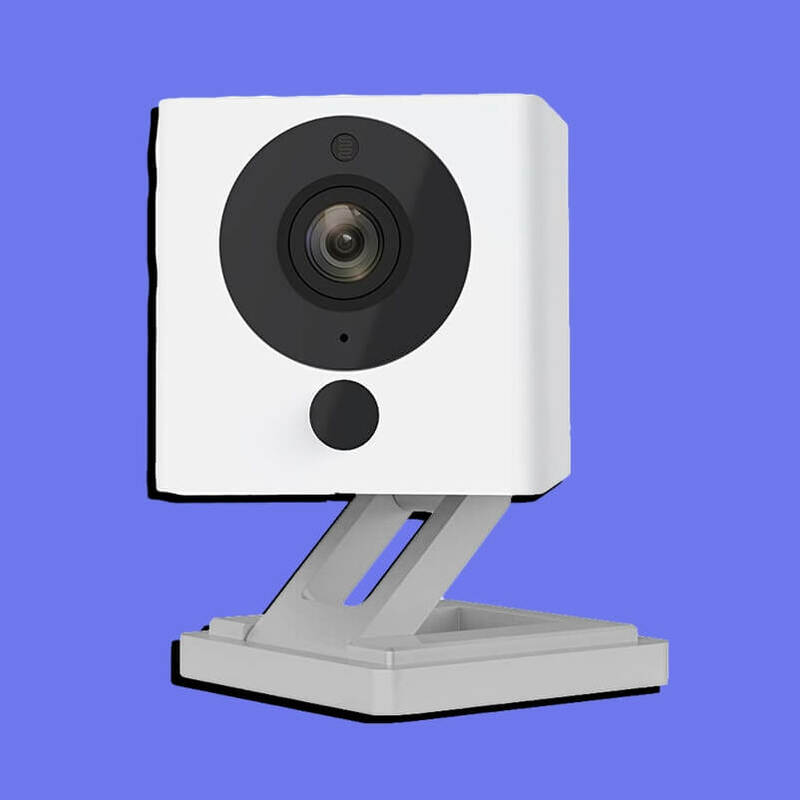 In July 2017 four former Amazon employees founded Wyze Labs, a company which in October of the same year launched Wyze Cam. Wyze Cam is an indoor wireless smart home surveillance camera. Like other home internet cameras made by Ring or Nest, the Wyze Cam can monitor an area for motion or sound. However, the Wyze Cam had one significant difference from the competition - its price. It sells for $25.98 and is sometimes available for as low as $19.54. Comparable home cameras sell for around $200 each. The only place to purchase the WyzeCam is on Amazon, making it another Amazon-native brand. As Manjoo puts it: “There’s a hidden hero in this story — or, if you’re a major brand, a shadowy villain. It’s Amazon.” On July 13th, 2018 it added Amazon Alexa support, and by October 2018 it sold the first million cameras. “Thanks to having a reliable product, a great customer experience, and the Works with Alexa badge, we’re thrilled to have sold a million cameras in only 12 months,” said Elana Fishman, CEO of Wyze Labs. It has been the best-seller in Surveillance & Security Cameras category soon after launch and has more than 5,000 reviews rating it 4.2 out of 5 stars. The camera is now also available in Amazon’s “4-star” store in New York City. “yoga mat” is 108th most searched term on Amazon. A high-demand search term in a category without a clear winner brand is the opportunity for Amazon-native brands. “baby monitor” is the 142nd most searched term which created space for Infant Optics brand. 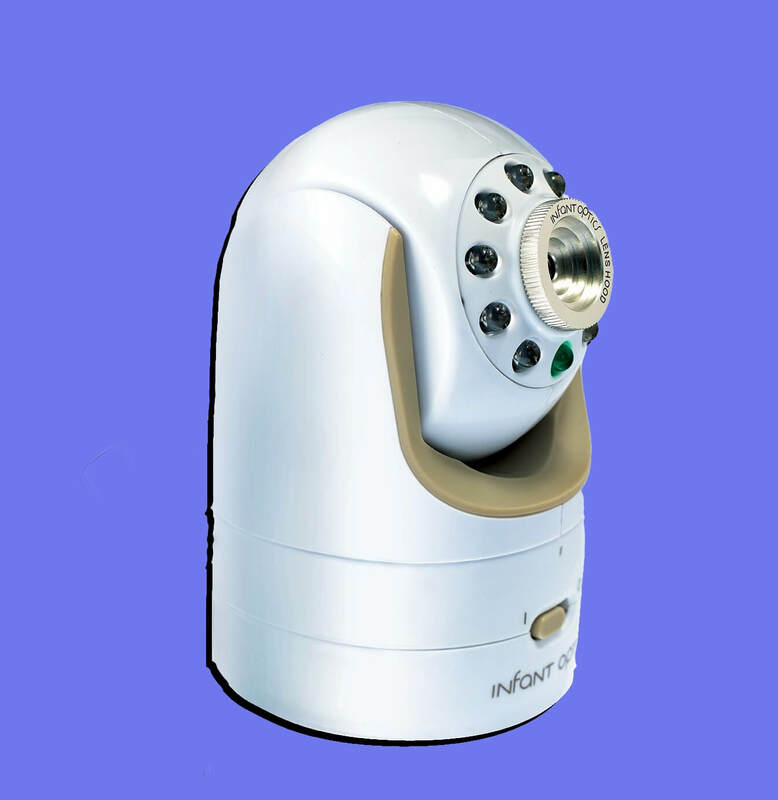 Infant Optics video baby monitor has been the best-seller in Baby Monitors category since its launch. It has amassed over 28,000 reviews and has a 4.4 out of 5 stars rating. That number grew by 10,000 during the last twelve months. The baby monitor sells for $165.99. Similar to the Orolay winter jacket, Infant Optics baby monitor has built off-Amazon credibility through Wirecutter, New York Magazine, Wired, Engadget, CNN, and more. Infant Optics has virtually no competition on Amazon, so Anker, known for its battery packs, chargers, and other smartphone accessories, launched an improved baby monitor under its sister home automation brand Eufy. Anker dominates multiple electronics categories already and is arguably the most successful brand built on Amazon. Brands like Anker, Wyze, Infant Optics, and hundreds more look for “categories dominated by high-priced items from well-known brands, and then try to create better and cheaper versions,” said general manager of Sunvalley, one of the brands doing this. They look to Amazon as a kind of product road map. Julie Creswell of The New York Times called Amazon the “brand buster.” However, none of the brands launched by Amazon have achieved this effect. Most brands Amazon launched are weak from the point of view of traditional brand building practices, have little brand recognition, no presence outside of Amazon, and rely on low prices and high ratings. All brands Amazon has launched are not brands. They are a collection of products for when the brand doesn’t matter. So if a brand finds itself competing with any of the brands Amazon has launched it is in the wrong game. Amazon focuses on increasing selection at better prices, brands, on the other hand, need to do what they do best. AmazonBasics AA batteries 48 count costs $13.99 compared to $18.99 for Energizer AA batteries. Amazon probably wouldn’t have entered the batteries category if it couldn’t have driven down the price. However, now that they have, they are testing if brand loyalty is worth the extra $5.00. 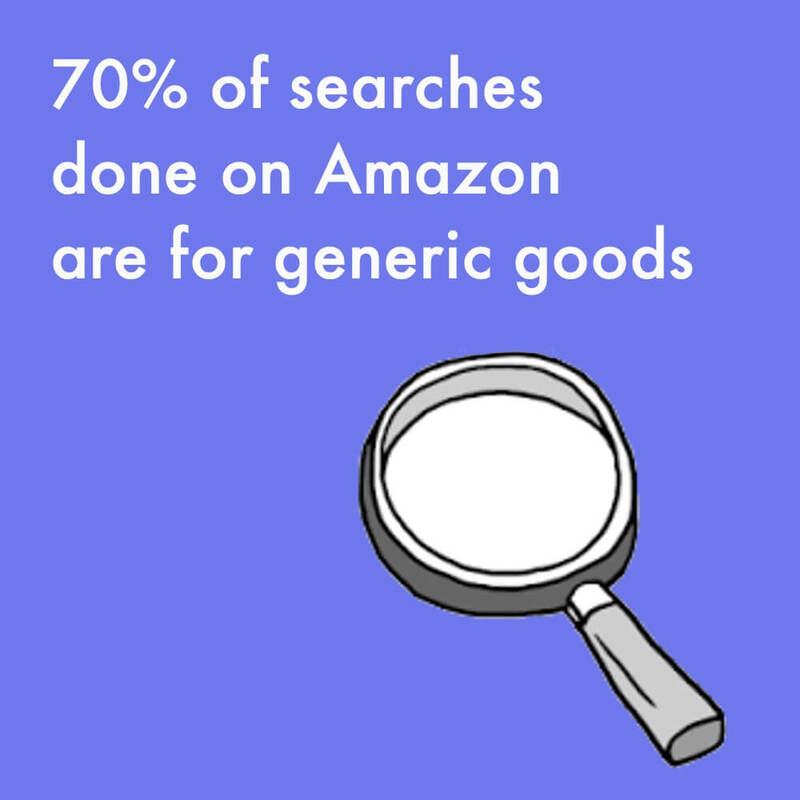 Amazon’s private label brands are built to leverage the fact that about 70% of the searches done on Amazon are for generic goods. However, that leaves 30% which are brand focused, which might explain why AmazonBasics is performing well while the many clothing brands launched fail to find their customer. Hence brands’ and private label sellers’ best defense is to cover these cases. For brands it is important to invest in Amazon presence and acquire reviews, thus establishing their brand credibility on Amazon in a native to the platform way. Sometimes that could mean launching sister brands to cater to the low end of the price spectrum. In the end, it’s about the realization that brands on Amazon don’t have the same stickiness as elsewhere and thus making sure that if a customer looks for other options, they come back to the brand because alternatives were slightly cheaper but worse quality, or more expensive without an improvement in quality. Amazon’s efforts are trying to undo customers paying too much for products that are not objectively worth the price premium and that brands are reaping an inordinate margin based on their ability to create a perception of value. It’s up to brands to prove their value. Not unlike most shoppers, most brands don’t know the names of Amazon-owned brands. Brands need to have a very self-serving approach to Amazon, utilizing the platform not only for sales and advertising but as a resource to get feedback on what is and isn’t working for their products, as well as the products of competitors including Amazon. Amazon has been launching brands not to destroy existing brands, but to meet the underserved demand at the ideal price point by those existing brands. The success and failure of various Amazon-owned brands across different categories answers which categories support paying a premium for a known brand, which products cannot be improved, and where niches exist. Combined with sales of established brands and other competing private label brands provides a holistic picture of how the 100 million Prime members and tens of millions more shop online. That understanding is critical in informing Amazon’s strategy for decades to come and is fundamentally the most significant outcome of the private label experimentation, way beyond net sales. “The greatest trick that Jeff Bezos ever pulled is allowing people to believe that he wants to create the everything store. Bezos has concentrated his investments around logistics and technology,” said Michael Zakkour, vice president of global digital commerce and new retail at Tompkins International. We believe the second greatest trick is allowing people to think that Amazon wants to be in the physical products business. Amazon-owned brands sorted by the total number of customer reviews they have accumulated. Customer reviews are a proxy for brands’ relative success on Amazon. On average 3-5% of units sold generate reviews, it varies by product and category.